1st Stotfold Scout Group are part of the Biggleswade District. Our Beaver members are aged between 6 and 8, and they take part in an active, exciting, fun, and adventurous programme of activities. Uniforms can be purchased from our local Scout Shop at Boyd Field in Henlow SG16 6AN on a Tuesday evening between 7:00 and 8:30pm. Other times are by appointment with Gill Wood 01462 850330. They are also available on-line at www.scout-uniform.co.uk or from the Scout & Guide Shop in Icknield Way, Letchworth on Tuesdays and Thursdays between 6:00 and 8:00pm. A second hand uniform shop is in operation within the Scout Group run by John McBurney. Please contact John McBurney on mcburney_john@hotmail.com or 01462 627935 for more information. We would be grateful if payments are made by cheque or bank transfer. Cheques should be placed in a sealed envelope with details of what the payment is for, and who it is from, on the front of the envelope. • Annual fees to District, County and National bodies for insurance and leader training. Unfortunately, the group don’t get to see a penny of this money. • A small amount of the subs are kept by the group to cover running costs such as electric and water bills and the purchasing of equipment. • Equipment needed for Colony meetings. If you have any problems or queries, please don’t hesitate in contacting any of the leaders. You can find their details on the Contacts page. We are there to help you and your child. Also, if you are interested in helping out with the Colony, or doing something else to help with the Group, please contact us. There are no payments for being a leader or helper, but what you get out of it is much better than that – seeing the children having fun and enjoying themselves. The Scout Group is supported by the Group Executive Committee. The role of the committee is to ru the Group and the Scout Hut, organise Group Events and help organise fundraising events to maintain the Group and to purchase new equipment. If you can spare a little bit of time – a couple of hours one evening a month for a meeting, plus a few extra hours to help at events – please make yourselves known to one of the leaders. We have personal information forms that we require to be filled in. These will give us all the information required should there be any need to contact parents or for medical purposes. You will be emailed the relevant forms when your child starts at Beavers, or given them on the first evening. An additional form that is likely to be given out deals with Gift Aid (the Scout group is a registered charity and subs can be claimed as Gift Aid, please fill in these forms if you are able to as this is a valuable source of extra income to the group) and for those of you who are willing to help at the Beaver Colony (see below) we have appropriate forms. Please return these forms to a Leader as soon as possible. In October 1982, The Scout Association introduced ‘Beavers’ for 6 and 7 year old boys in response to a growing demand within the Movement for such an optional activity to be available at the discretion of Scout Groups. Provision for this age range had, in fact, existed for some years in a number of countries. Beavers started in Northern Ireland some 15 years earlier and, later, there were similar approaches in the Republic of Ireland, Australia, Canada and New Zealand and in some European countries. Some informal projects also developed in places in Scotland and England. Initially, Beavers were not full Members of the Movement. In April 1986 they became a recognised training Section and took the title of Beaver Scouts. In 1991, girls were admitted to the Beaver Scouts for the first time. The Beaver Scout Programme was extensively overhauled in 1995. 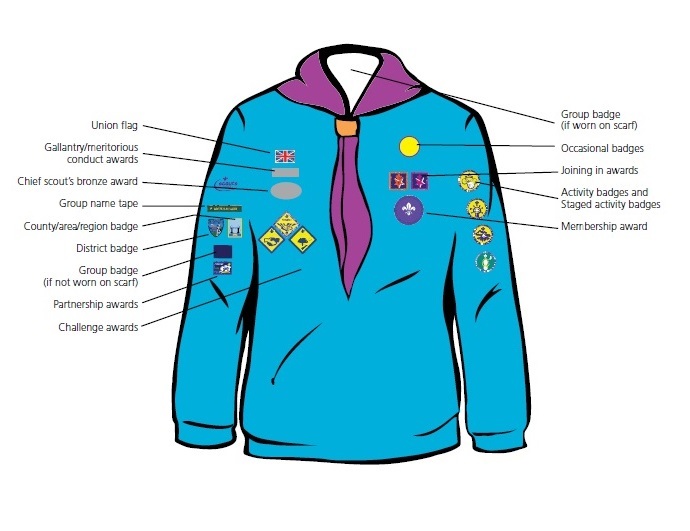 In the United Kingdom, Beaver Scouts wear a turquoise sweatshirt, a Group scarf, with a coloured plastic woggle to hold it in place. Their Promise, which is appropriate for the age range, is, – ‘I promise to do my best to be kind and helpful and to love God’. Beaver Scouts meet in ‘Colonies’, usually once a week. Beaver Scouts have the opportunity to work in a variety of groupings, sometimes called Lodges. The Colony normally comprises a maximum membership of 24. However to meet local short or long term circumstances, this number maybe increased with the agreement of the Executive Committee and the District Commissioner. The Beaver Scout Motto is ‘Be Prepared’ which describes the ethos of the section. Beaver Scouts Learn about themselves– Exploring their feelings and developing good habits of health and personal safety. Beaver Scouts get to know people- Finding out about people in their family, the family of Scouting, and the local community and wider world. Beaver Scouts care- Growing in their love of God and responding to the needs of others, the local community and the wider world. The elements of their activities do, indeed, aim towards having fun and making friends and there is an exciting spicing of adventure and achievement. The ‘Scouts help others’ principle of the Scout Movement’s ethos is readily accepted by boys and girls of Beaver Scout age so that appropriate community service is possible right from the start. Beaver Scout Leaders are appointed under the Policy, Organisation and Rules of the Association and are men and women between the ages of 20 and 65 who are in sympathy with the aims of Scouting. Assistant Leaders may be appointed from the age of 18. Parents and Helpers are a valuable asset to the running of a successful Beaver Scout Colony. In April 1986, there were already over 60,000 Beaver Scouts in the United Kingdom and in the 1997 Census, there were 133,245. What do Beaver Scouts really do? Beaver Scouts will enjoy a great deal of fun and adventure whilst in the Colony. They will also have opportunities to gain awards and badges. These awards are given in recognition of the effort made by each youngster at their own level of development and understanding. Beaver Scout Leaders run a balanced programme which provides the Beavers with exciting and rewarding challenges. A range of activities, events and experiences are built around six zones (Outdoor & Adventure, Community, Fitness, Creative, Global, Beliefs and Attitudes). For more information visit the Scout Association website HERE or ask the Beaver Leaders. 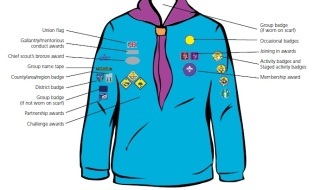 A number of badges are available to Beaver Scouts to recognise their progress through the Colony. These are described in this link to the Scout Association and are detailed in a booklet given to the Beaver upon investiture. Information about Beaver activities and events will be emailed by the leaders, and will also be detailed on the Events section of this website. You will have the opportunity to meet a variety of new people and make a real contribution to help your local community. Please do not be shy to offer your help and if you feel you have any skills to offer to the Beaver Scout Colony please contact your Beaver Scout Leader. By playing your part and supporting your child you will share the enjoyment, friendship and fun of the family of Scouting. They probably won’t be so generous as to ask you to compare b check my organization 5 and b 4.